YOU COULDN'T ASK FOR FRIENDLIER FEMALES OR A FUNNIER PICTURE! Irma the Sweet puts spice in men's lives...until Jack the Gendarme arrests her activities! 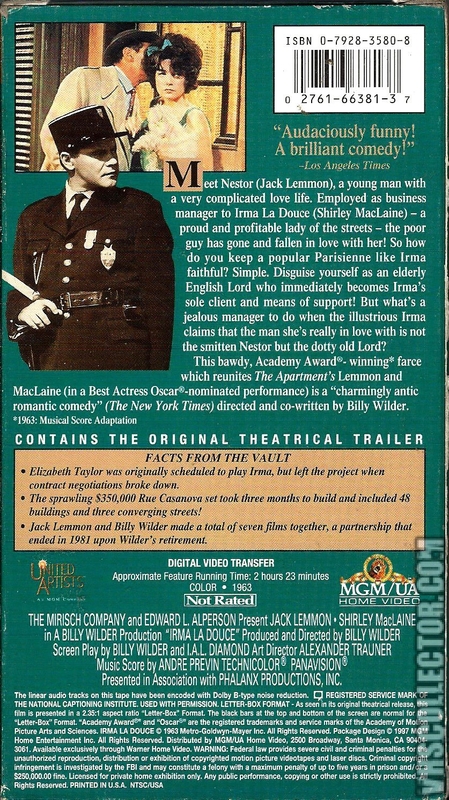 Irma la Douce is a 1963 romantic comedy starring Jack Lemmon and Shirley MacLaine, directed by Billy Wilder. It is based on the 1956 French stage musical Irma La Douce by Marguerite Monnot and Alexandre Breffort. 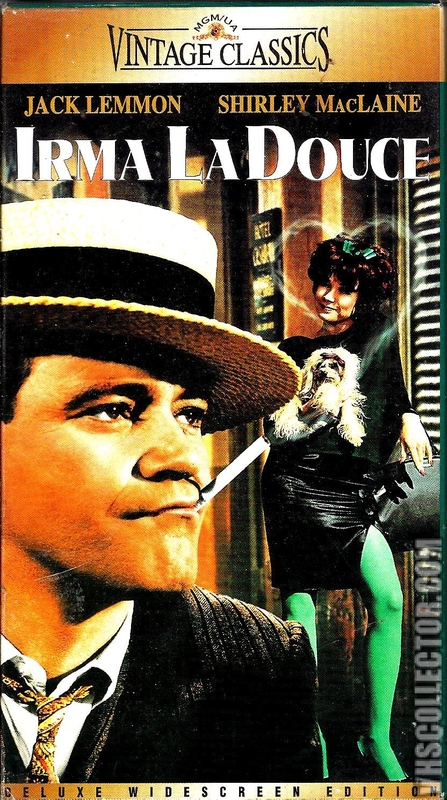 Irma la Douce ["Irma the Sweet"] tells the story of Nestor Patou (Jack Lemmon), an honest cop, who after being transferred from the park Bois de Boulogne to a more urban neighborhood in Paris, finds a street full of prostitutes working at the Hotel Casanova and proceeds to raid the place. The police inspector, who is Nestor's superior, and the other policemen, have been aware of the prostitution, but tolerate it in exchange for bribes. The inspector, a client of the prostitutes himself, fires Nestor, who is accidentally framed for bribery. Kicked off the force and humiliated, Nestor finds himself drawn to the very neighborhood that ended his career with the Paris police - returning to Chez Moustache, a popular hangout for prostitutes and their pimps. Down on his luck, Nestor befriends Irma La Douce (Shirley MacLaine), a popular prostitute. He also reluctantly accepts, as a confidant, the proprietor of Chez Moustache, a man known only as "Moustache." In a running joke, Moustache (Lou Jacobi), a seemingly ordinary barkeep, tells of a storied prior life – claiming to have been, among other things, an attorney, a colonel, and a doctor, ending with the repeated line, "But that's another story." After Nestor defends Irma against her pimp boyfriend, Hippolyte, Nestor moves in with her, and he soon finds himself as Irma's new pimp. Jealous of the thought of Irma being with other men, Nestor comes up with a plan to stop Irma's prostitution. But he soon finds out that it is not all that it is cracked up to be. 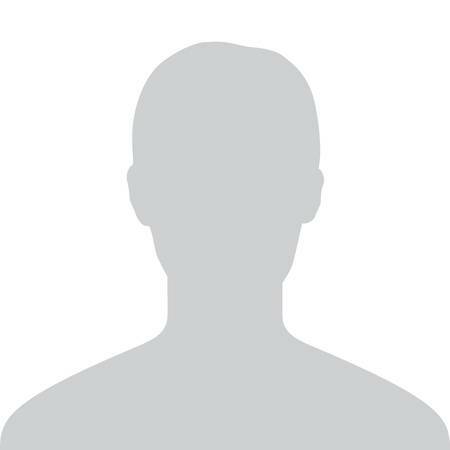 He invents an alter-ego, "Lord X", a British lord, who "becomes" Irma's sole client. Nestor's plans to keep Irma off the streets soon backfire and she becomes suspicious, since Nestor must work long and hard to earn the cash "Lord X" pays Irma. When Irma decides to leave Paris with the fictitious Lord X, Nestor decides to end the charade. Unaware he is being tailed by Hippolyte, he finds a secluded stretch along the river Seine and tosses his disguise into it. Hippolyte, not having seen Nestor change his clothes, sees "Lord X"'s clothes floating in the water, and concludes Nestor murdered him. Before Nestor is arrested Moustache advises him not to reveal that Lord X was a fabrication. He tells him, "The jails are full of innocent people because they told the truth." Nestor admits to having killed Lord X, but only because of his love for Irma. Hauled off to jail, but with Irma in love with him, Nestor is sentenced to 15 years' hard labor. Learning that Irma is pregnant Nestor escapes from prison, with Moustache's help, and returns to Irma. He narrowly avoids being recaptured when the police search for him in Irma's apartment, but donning his old uniform Nestor simply blends in with the other police. With the help of Hippolyte, Nestor arranges for the police to search for him along the Seine from which, dressed as Lord X, he emerges. Knowing he cannot be rearrested for a murder the police now know did not occur, Nestor rushes to the church, where he plans to marry Irma. As she walks down the aisle she begins to experience contractions and they continue during the wedding ceremony. Nestor and Irma barely make it through the ceremony before she goes into labor and delivers their baby. While Nestor and everyone else is occupied with Irma, Moustache notices one of the guests sitting alone at the front of the church. Rising from his seat and walking past Moustache, the guest is none other than Lord X! A clearly baffled Moustache looks at Lord X, and then at the audience. "But that's another story," he says.